Buy on the App Store. 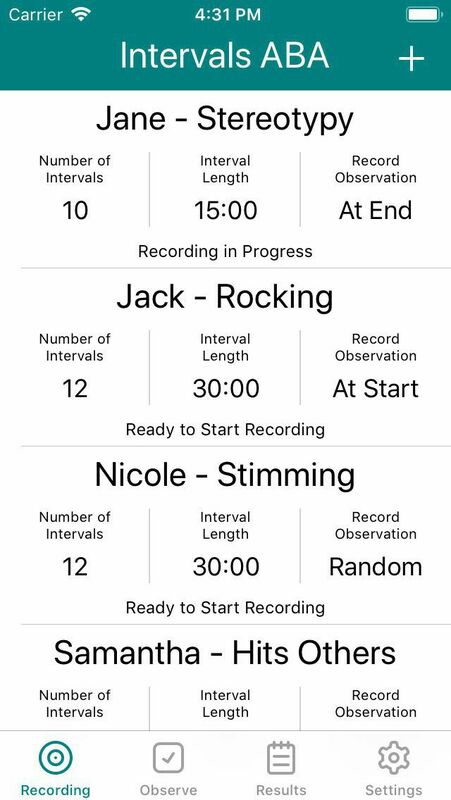 Intervals is a tool for use by special education teachers, therapists and applied behavior analysts to perform ABA interval recordings and time samplings. View your results directly on the device. Export your results in the industry standard CSV format to view in your favorite spreadsheet. Export your results to any popular file sharing service, including iCloud Drive. Today extension for easy recording of observations from the today screen.